Travel the world and back again to your very own home town and country in this bestselling personalised story for adventurous boys & girls aged 0 – 9. Put your child in the heart of this custom story book. With 8 adorable characters to choose from this is a perfect gift for any child aged 0-9. Tons of educational value on every page for every age. The best part is they don’t even realise it. Geography to letters, endangered animals to secret clues and more! Celebrate your gift with a personal dedication just from you. We’ll print it into the book – free! 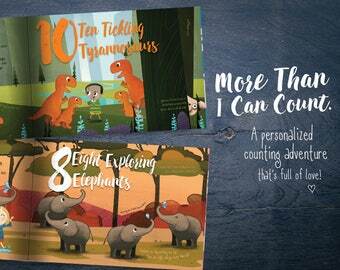 Each personalised kids book tells the story of that child. It’s their adventure, right to their door in their very own home town. Decode puzzles, discover facts and even learn how to look after a hurt unicorn in this interactive and empowering kids story that truly makes each child a hero. Your book will arrive damage free & error free or we’ll replace it or give you your money back! STANDARD SHIPPING: Our phenomenal books are mainly printed in New Zealand and United Kingdom, depending on what home the books go to. More often than not, most of our books find their way home earlier than that - however, if you need your book by a specific date we recommend you use the express shipping option. Our super cool gift wrap, adorned with our characters will make your gift top of the class. Jess and Fernando are amazing! There was an issue with the shipment, but we got it all worked out. They were very prompt with their responses any time I had a question or needed an update on the item! This book is absolutely adorable. Great story line and very educational for a young reader. Excellent customer service and prompt responses from Fernando. Would recommend to anyone looking to buy a personalized children's book! Great customer service! When ordering, I accidentally provided an incorrect address. Once I noticed, I contacted the seller and they graciously shared if the book wasn't returned to them by the following week, they would issue another one - and they did! What is My Way Home? 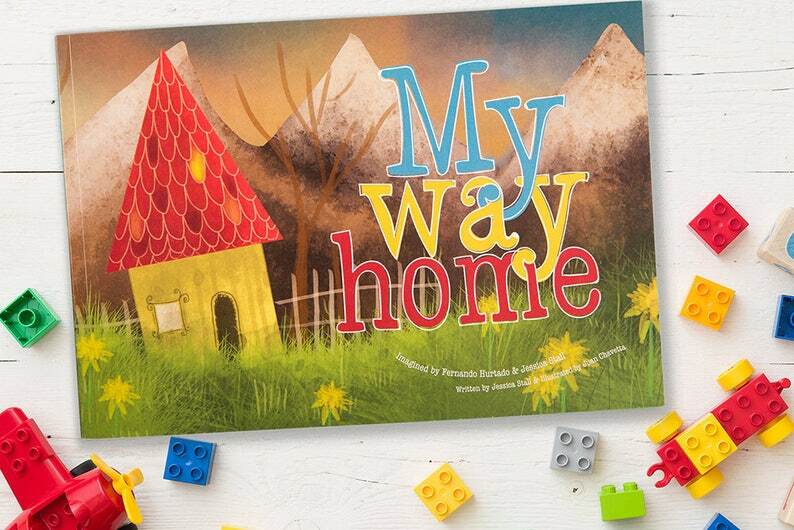 My Way Home is a personalized fun & educational story where the main character is your child! Your kid and and their teddy bear are lost and need to find their way home. On their journey home they visit many countries collecting clues that will finally guide them to their home country. How do I create my personalized book? The story is about a child that has to find their way home and to do so the kid embarks in an inspiring journey where he/she will meet a new character in each country, and help them solve a puzzle in order to gain a clue and ultimately find their way home. How does My Way Work? Once you have placed the order and sent the required details. Our team will process, print, bind and wrap your order as fast as possible and put it in the post for you to receive it anywhere in the world at your door step! What is the personalised story about? The story is about a child that has to find their way home and to do so the kid embarks in a magical journey where he/she will meet various character from different countries who will give him/her clues to find the country and home town where he/she is from. What age range is My Way Home appropriate for? It depends on the country your are from. But the My Way Home book has a minimum of 22 and a maximum of 30 pages. Our books are B5 size 176 X 250 mm (6.9 X 9.8 inches). What paper is the book made of? Our books are made of 157 grams glossy pages with a very thick 350 grams soft cover. The story of each country and character met is based on real animals or legends. We guarantee that your book will arrive within 30 days from the date of purchase, damage free, error free and that the quality will exceed your expectation. If not, we’ll replace your book for free. No risk – so order now ! What if my book is damage or incorrect? We are 100% committed to deliver a world class product. If the book is damage or incorrect please let our team of helpful ninja’s (yeah, that’s us) know info@myway-home.com - we want to help you out! If necessary we’ll send you a new book completely free of charge. We want to hear how special this book is for you. Please help up spread the word by leaving us a review on Etsy.